This rhinestone brush used by professional to place swarovski or preciosa or any other rhinestone brands onto the stensil template. The Professional Rhinestone Brush XXL is much biiger than Regular Brush which useful to complete the job faster. 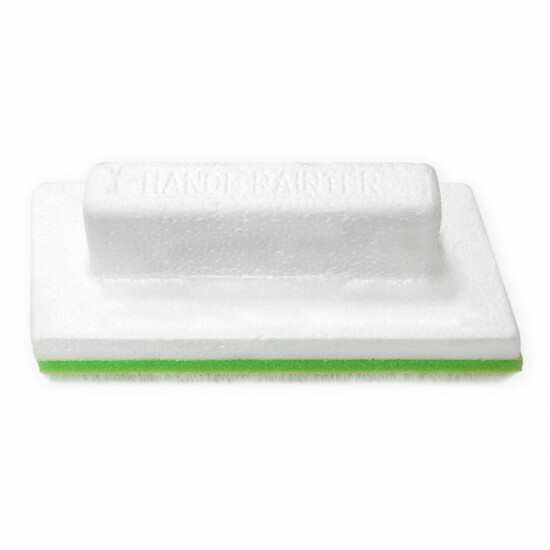 The handle made from polystyrene, and the brush is made from soft brush. This is genuine Swarovski Crystal, which is manufactured in Austria with Black Diamond (215) Color and come with packing of 104 pcs of 5 sizes per rot..
ZF0000 rhinestone font template set will include full uppercase alphabet and numbers template as shown in the picture. You will receive 1 template of ..